To begin the adoption process, we have an Adoption Questionnaire for you to fill out. This will help us better understand your personal and home situation for our furry friends to ensure it will be a good match. As well, we want to be sure you clearly understand your responsibilities and commitment to the proper care of your pet. This form can be completed in advance of the actual adoption to expedite the process. Just print out this Adoption Questionnaire, fill it out and bring it with you to our adoption events. We will review and approve if everything is in good order. 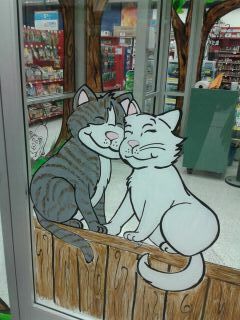 Our cats reside at our Enchanted Kitty Forest located at PetCo in the El Cerrito Plaza. They can be view daily during normal business hours. If you see a cat that you think you might want to adopt, please call us and set up an appointment to meet with that Kitty in the forest.